That is cool. I love the processing. Blue is my favorite color, so this really stands out to me. Beautiful. Beautiful effect! I also see shapes in the flames, a dragon for instance. Thanks for linking up to Observing Beauty! Great idea! I love the effect. Ranu, this is just beautiful especially against the white background. 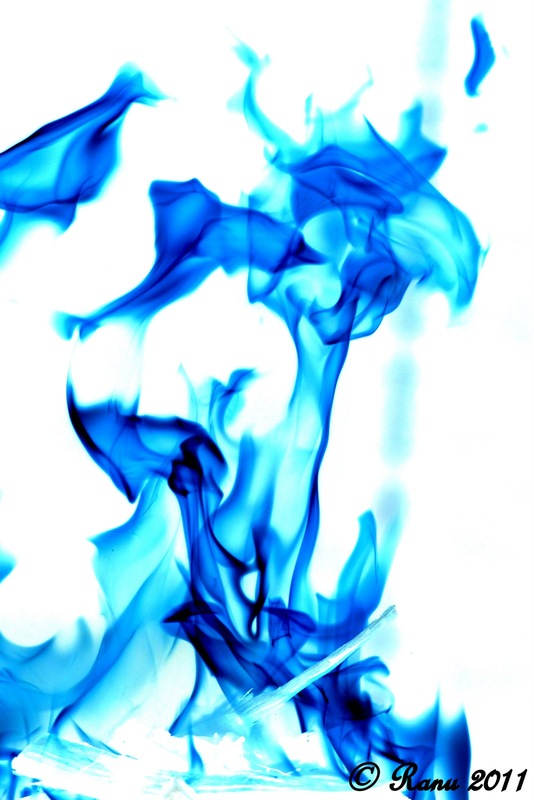 A blue fire – beautiful ;0) Art it is :0) Have a nice day !